MacDailyNews Take: Energous it’s not, but it could certainly be useful it some situations. More info about the Pi power platform which will retail for “under $200” (no shipping date yet announced) and which “follows existing FCC safety guidelines,” resulting in “safe, seamless power” here. Placing it near a charging point rather than on it does have benefit. Not a whole lot, but it does. This does have a Trumpian air about 12 inches being yuge or something… Hope you got big feet! A lot of technological complexity (and price) for not much utility. I guess the advantage is that you can still use the device while charging, albeit within 1 ft. While charging and listening to audio through wired headphones has never been a need for me (I’ve never done it), I see the value of being able to use a phone while charging, which I guess will be possible with the AirPower pad, but only when you’re hovering over it. Are getting a better handle on it now, MDN? Even the current method is “wireless” charging – there are no wires plugged into the iPhone. The key is the distance between the charger and the device. The next step appears to be a separation of one foot. One foot. That is far better than a millimeter, and is is great that Apple is (as usual) forward-looking in their designs and has incorporated support for that next step. But that is nothing close to what you and everyone else would like, which is walking around your home using devices that are maintained at full charge. Beaming power using radio frequencies is inefficient – that is simple physics – and the energy conversions at each end make the problem worse. I believe that the interest in wireless charging will fade over time with continued improvement in the efficiencies of the electronic components, increases in energy density of batteries, and reductions in recharge times. Think about it…you don’t worry about recharging a device that lasts weeks, months, or years on a set of batteries (e.g., smoke detector). Recharging it or replacing the batteries is a relatively small burden in terms of frequency or time. The iPhone X lasts two hours more than the previous model – I assume mostly because of the OLED display. If Apple continues to improve battery life to the point where most people can go a day or two of hard use without recharging, then laying it on a charging mat on your nightstand won’t be much of a concern, will it? Follow-up: Sometimes what people think that they want is not really what they want or need. 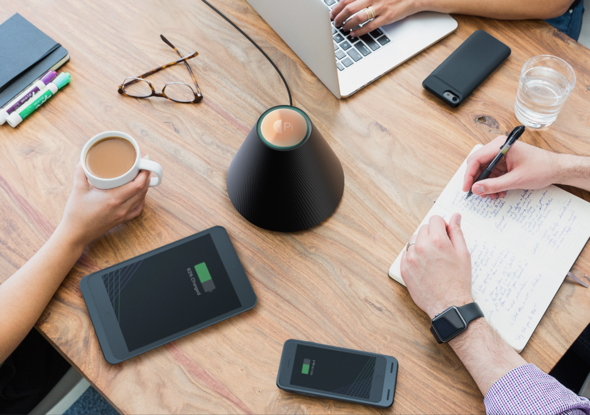 In this case, wireless charging is one possible solution to the issue of keeping a frequently used mobile device like an iPhone going throughout a long day. But there are other possible solutions involving efficiency in power storage and consumption. And I believe that those solutions will be far better for the environment in the near term.